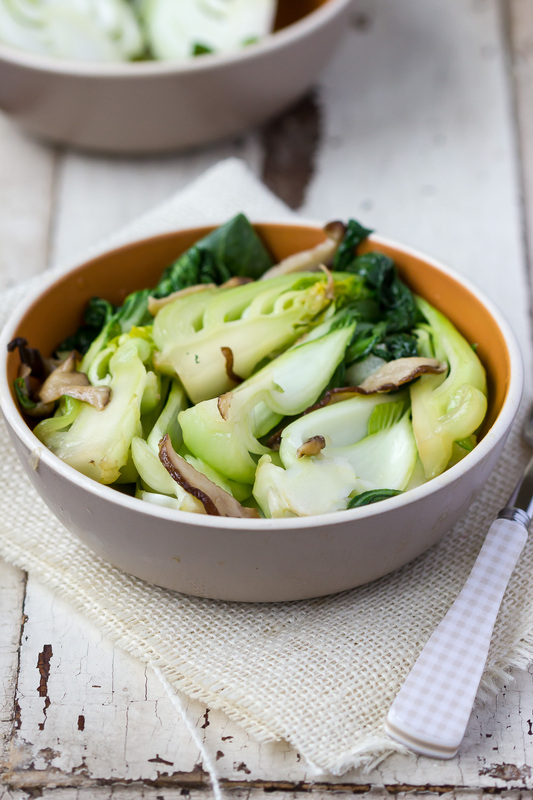 What is it about bok choy that I love so much? I'm not quite sure. All I know is that I can't ever seem to get my fill. A couple of years ago when I visited China there were 2 things I made certain to eat each day during my 2 week stay : Xiao Long Baodumplings, or what I call soupy dumplings, and braised bok choy. It soon became a running joke among my traveling companions. I won't be attempting to make soupy dumplings any time soon. I'll leave that job to those with more skill and experience. Bok choy on the other hand, couldn't be quicker or easier to prepare. It can be made in less than 10 minutes. Look for baby bok choy. It's sweeter and more tender. You just may find yourself wanting to eat it every day! Heat a wok over high heat until hot. Add oil and heat until shimmering. Add garlic and cook 5 seconds. Add shitake mushrooms and stir fry 30 seconds until softened. Add bok choy and rice wine. Mix together with mushrooms and garlic. Add fish sauce and chicken stock. Cook until the bok choy is tender, about 1-2 minutes. 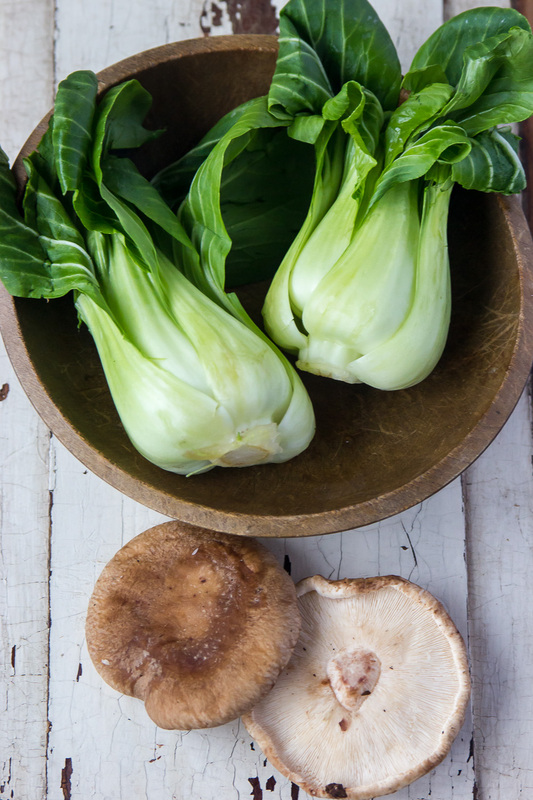 If after 2 minutes the bok choy is still crunchy, cover the wok and cook until tender.